Posted July 17th, 2012 by Dan - TexCom Technical Operations & filed under How To, Zones. Restricting access to Zones is great for managing content for certain areas of your department such as an officer’s only document area. 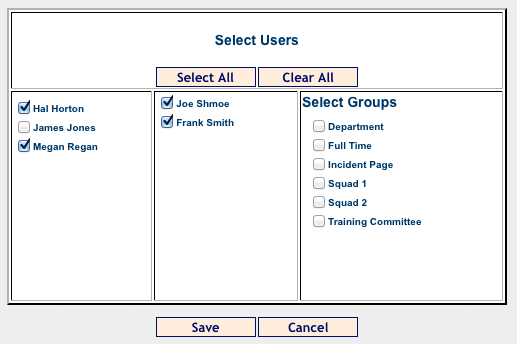 To get started, select the Zones link in the admin area. Select the Users link next to the Zone you want to limit access to. Under Viewing Users select the Select Users link. Now, simply select the users that you want to allow to view this Zone and select Save. The Users you selected are now displayed in the Viewing Users section and this Zone is now protected for viewing just by these users. You can repeat these steps for any other Zone you want to restrict users to. Allowing other users to edit Zones is great for allowing users to keep content up to date in the Zone without them having the full access of admin. Adding additional edit users to a Zone works very similar to the above steps. Select Users next to the Zone you want and select the Select Users link next to Zone Editors. Select the users you want to have edit ability and Save. Now you have additional users who can edit this Zone. Any user that has edit ability will be able to edit the Zone by selecting the Zone in the Zones section on the left menu and then selecting the Edit link on the top right of the displayed Zone. This completes our Zone access post. We hope you enjoyed reading and learned some easy steps for functionality to your TexCom site. Feel free to comment below if you have any questions or suggestions.